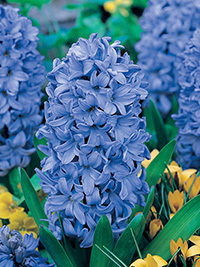 Soft lilac-blue flowers, one of the most popular hyacinths. Very fragrant. Early spring flowering, 25 cm tall.